We know the value of family here at Keenan's. Now that you have your wonderful bundle of joy, it's time to celebrate such a momentous and special occasion. 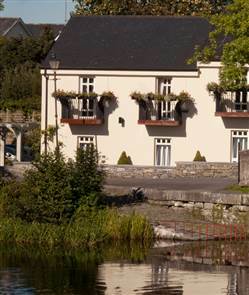 Our Shannonside Restaurant is a beautiful setting to introduce your latest addition to both family and friends. Our Christening Menu is available upon request, so please be sure to state that it is a Christening party that you are booking at the time of reservation. Menus can be personalised and we are willing to adapt where possible if you an your party have special requests. Please ask for Michelle or David at time of enquiry and they will endeavour to be of assistance.